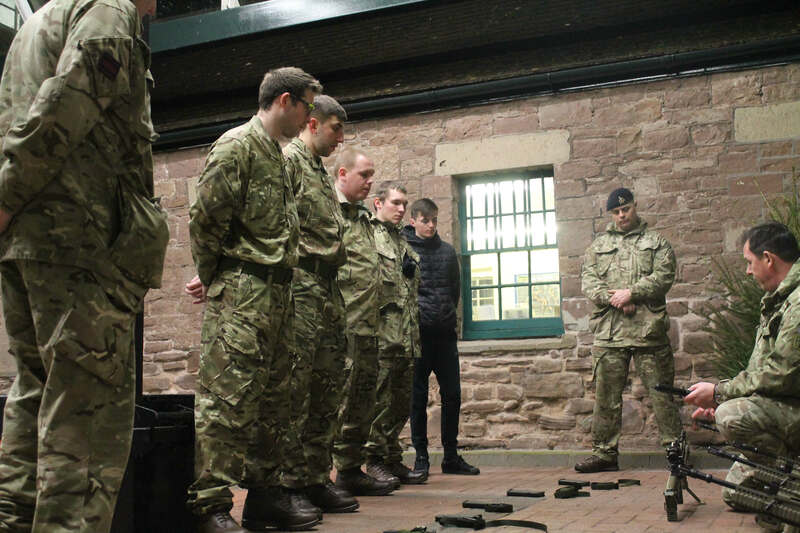 The second training weekend of 2018 found soldiers from The Royal Monmouthshire Royal Engineers (Militia) involved with varied training aimed at the different trade strands as well as the continuing preparation of those who have volunteered to deploy on Op TRENTON. Both the combat engineers and the drivers headed on down to Weymouth where the combat engineers would review/refresh themselves on water supply and the drivers would depart for Bovington training area for some cross country driving practice. 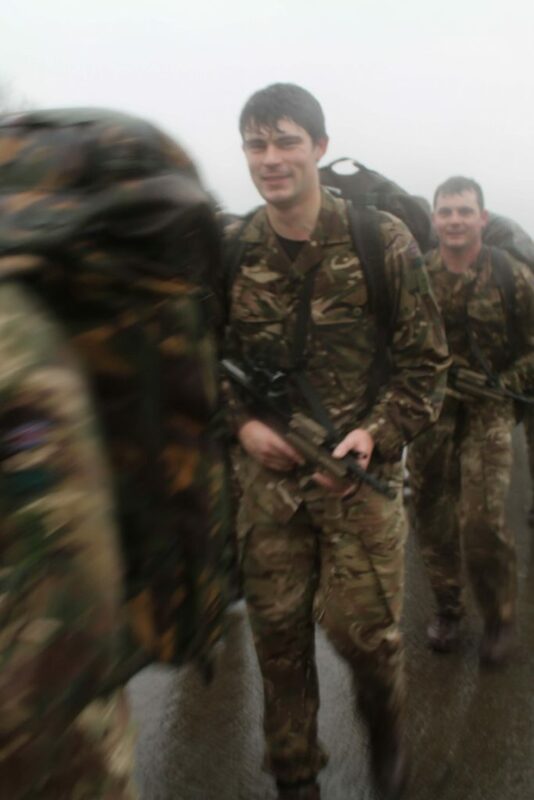 Meanwhile, back in Monmouth the Regiment’s signallers (a term for military communicators) wielded scanning ‘guns’ around their command vehicles radio and IT equipment to check it all against the computerised logging system. This equipment is intended to speed up the administration work to leave more time for training – though occasionally the experience was reminiscent of the early days of self service tills. An Endurance Training Leader (ETL) course was also run over the weekend. 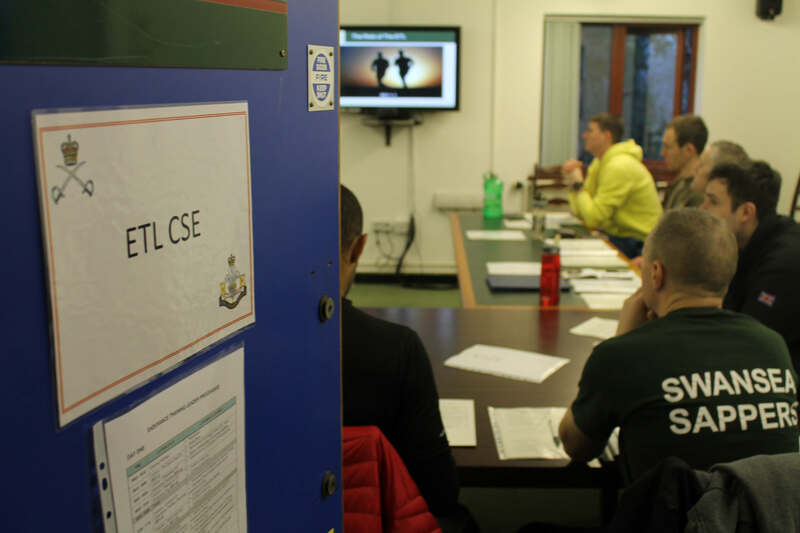 ETLs are trained and qualified to carry out ‘maintenance’ physical training in the shape of steady state runs or TABs (Tactical Advance to Battle – loaded marches). this is useful if a Physical Training Instructor is not available and helps the unit keep fitness levels at the required standard. Recruits were also in at the weekend conducting preparatory training under the auspices of Militia Troop. 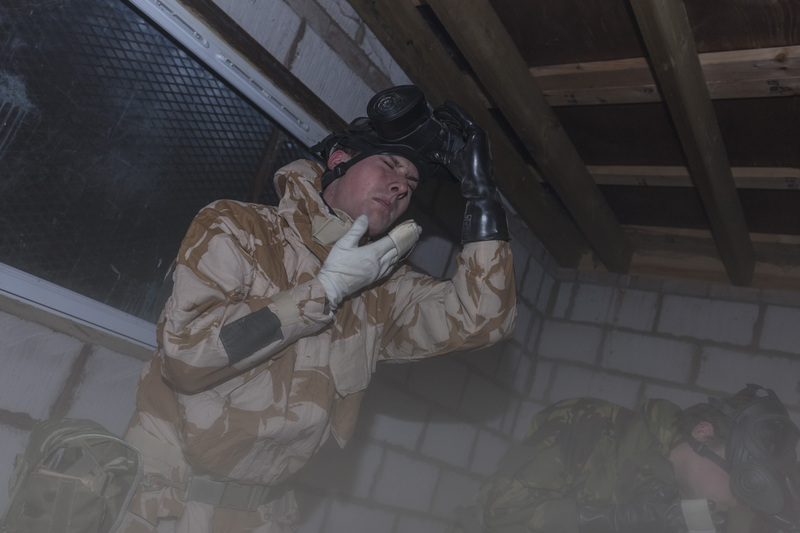 When volunteering to deploy on operations all Reserve personnel must ensure that they are up to date with the Mandated Annual Training Tests (MATTs) and up to level 1-the same level a Regular soldier is expected to maintain (all Reservists do also but level 2 is required normally to prove efficiency and therefore qualify for the tax-free bounty). 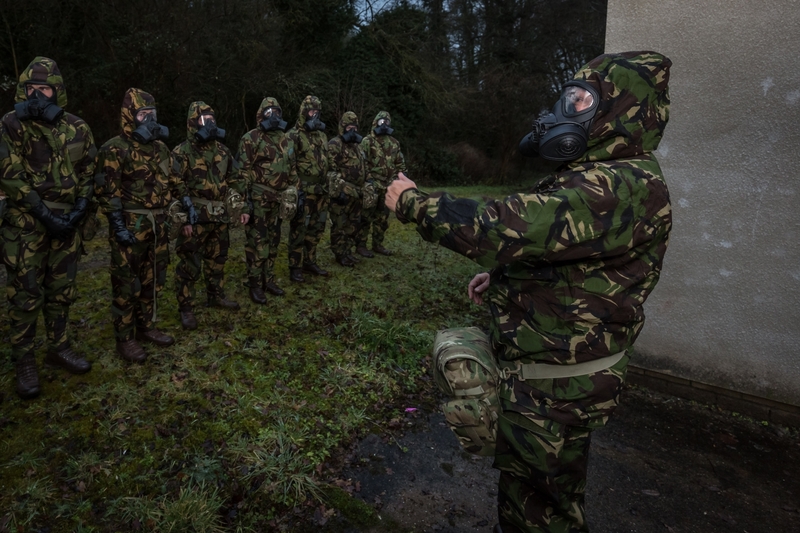 This weekend’s focus was Chemical Bacteriological Radiological and Nuclear warfare. 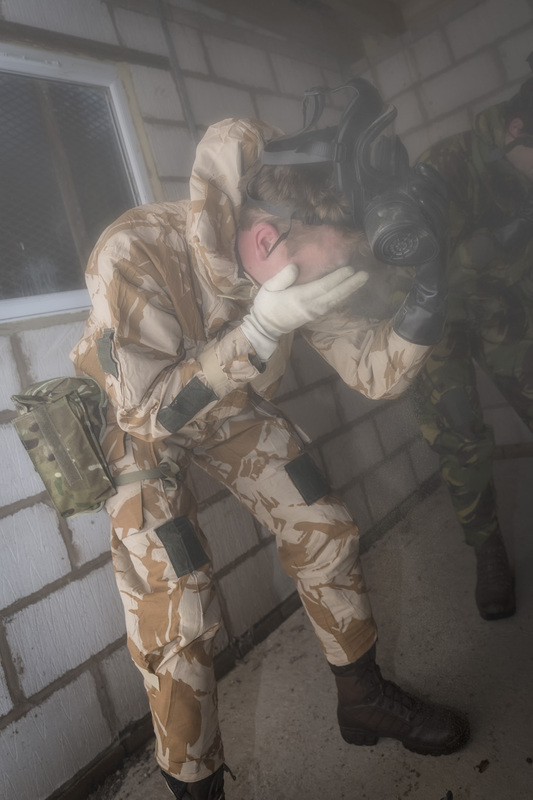 This involves training on and in the suit and respirator that protect a soldier in these environments and the skills and drills that enable him or her to still operate effectively. Similar protective measures were employed on the deployment that assisted the fight against Ebola in Sierra Leone during Op GRITROCK in 2014/2015. 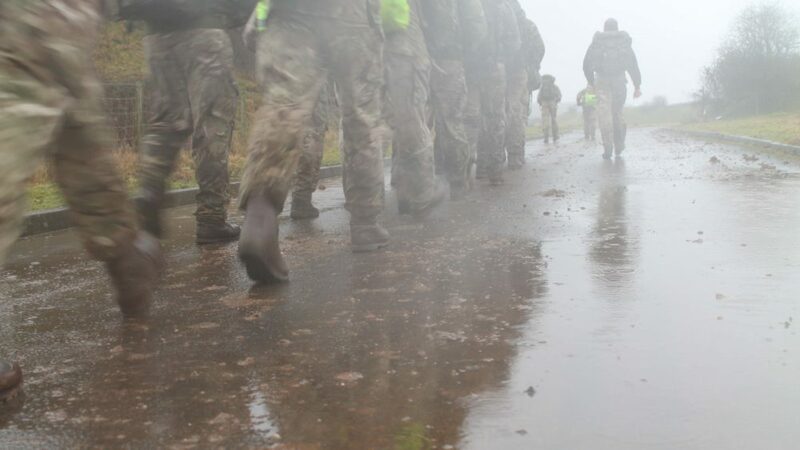 As part of MATTs they are also required to complete a loaded march within a specific time. 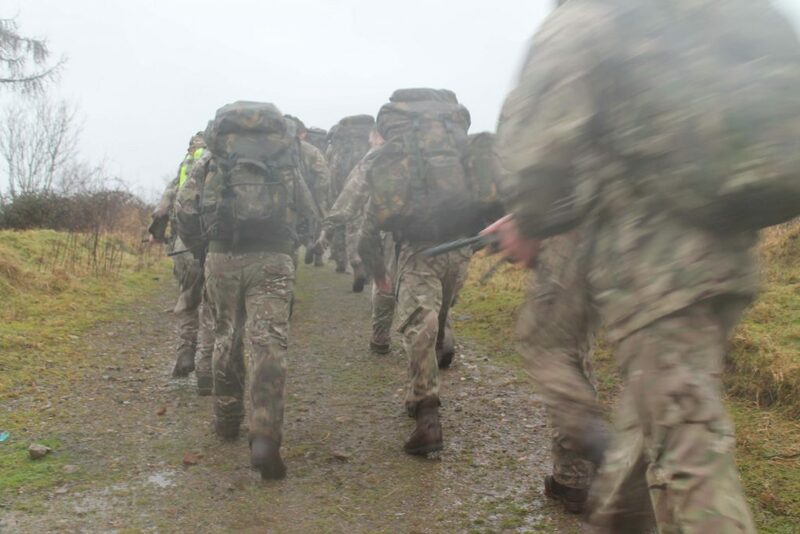 The weight carried depends on the cap badge of the soldier (Royal Engineers, Royal Logistic Corps, Adjutants General Corps and Royal Army Medical Corps soldiers are in The R Mon RE(M)) and the weight carried ranges between 15kg and 20kg (including the rifle’s weight). 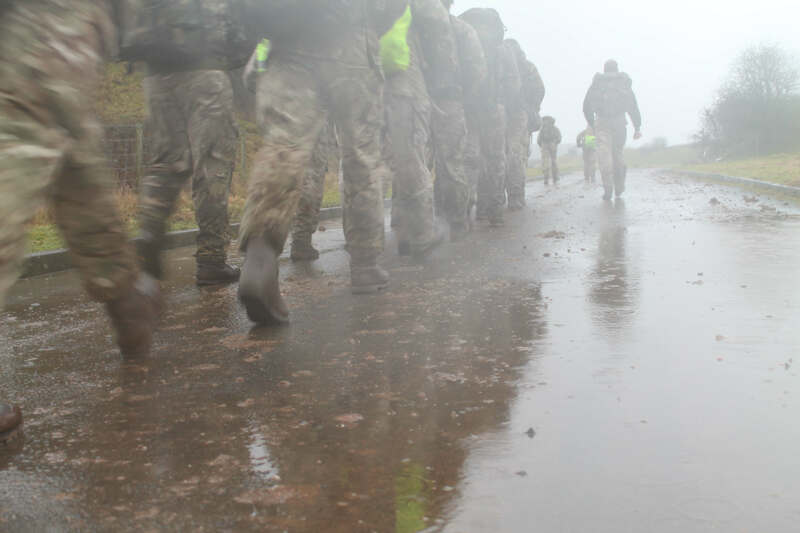 Whilst level 2 requires a 6 mile loaded march in an hour and a half, level 1 requires 8 miles to be completed in 2 hours. 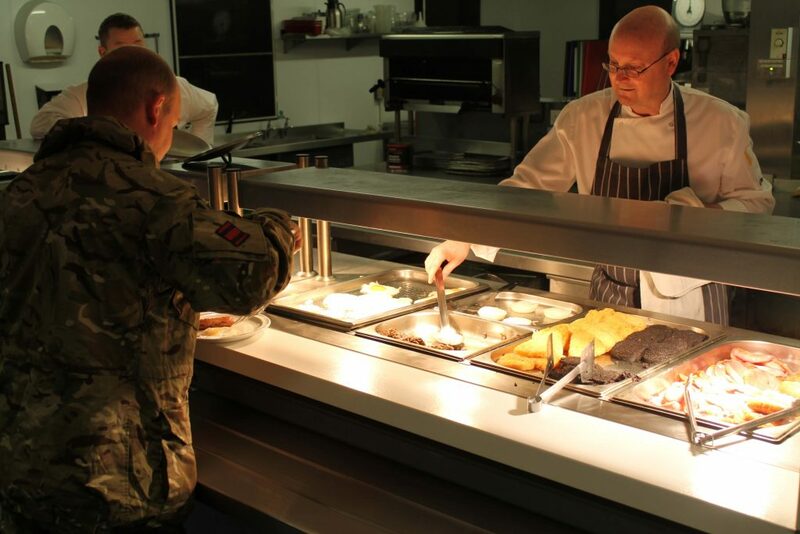 After a hearty breakfast served up by our chefs and a bit of travel they found themselves, in a cooling rain kindly provided by the Welsh weather, plugging away at the 8 mile route. 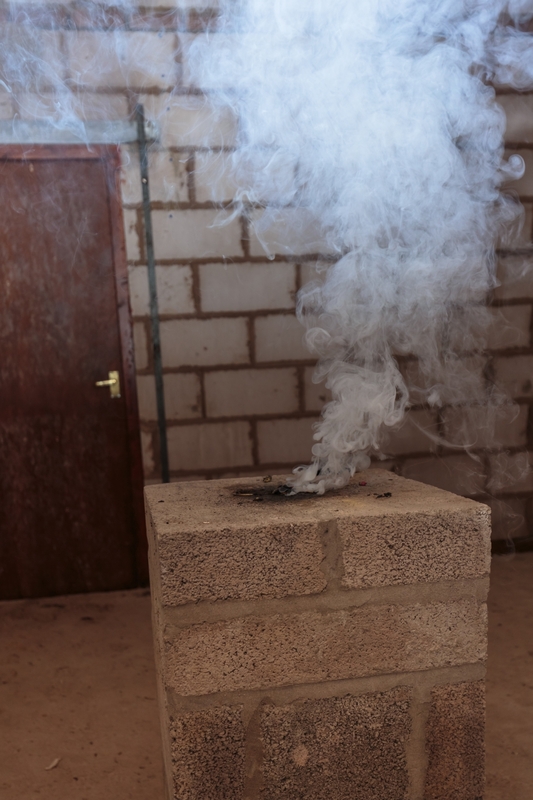 It may sound a lot but with a bit of training and the right mindset it’s well within most people’s grasp. With that finished, dry clothing and a cup of sweet tea it was time to return, conduct a little administration and then be on their way home.